Where to Stay: If your hotel checklist includes affordability, practicality and family friendly, then look no further than the Hotel Cristal Munich Best Western (you’ll need to open it with the Google translate option) next time you’re in Munich. This year the hotel celebrated its 100-year anniversary, and it’s worth telling the story in order to truly understand the quaint charm. In 1912, the Wickenhäuser family took over the well-located property and began a journey, evolving into what is now a family run hotel. The family started selling motorcycles, then automobiles, in the current building. 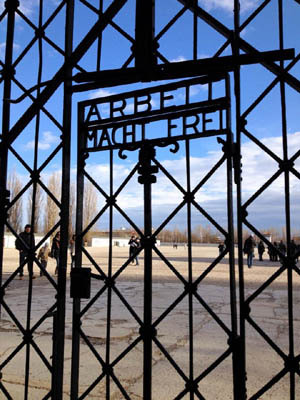 In 1945, everything was destroyed in a bomb attack during the last days of the war. In 1960, the building was renovated to house an OPEL dealership; the first vertically integrated automobile operation in Germany. In 1986, the family decided to turn the building into a hotel, and on August 15, 1987, a hotel opened in the dealership’s place. The lease terminated in 1994, and on January 3, 1995, Hotel Cristal was born. Since 2009, fourth generation Kathrin has managed the 100-room hotel, together with her partner Alexander Egger. Since taking over, Kathrin and Alexander have added eco-friendly air conditioning systems, renovated 50 guest rooms and equipped the 1912 Restaurant and Bar with a new design. From the moment we walked into the hotel, we felt welcomed. The receptionist was smiling, patient and took her time explaining everything we’d need and answered all our questions. The lobby was decorated for the holiday season, including stuffed reindeer leading up the stairway. Gluwein awaited chilled guests coming in from the cold, and the bar and lounges were centrally placed to allow for winding down after a long day of sightseeing. The 1912 restaurant was located on the far side of the lobby offering a lovely menu throughout the day. The breakfast buffet was extensive including juices, coffee, cereals, deli meats, specialty cheeses, assortment of breads and pastries, yogurt, organic eggs you hard boil yourself and then warming dishes which included eggs, bacon, sausage, potatoes and vegetables. The staff in the restaurant was very friendly and helpful and made the experience a little more like home. Our room was a pleasant surprise, as it was two bedrooms with a bathroom and hallway connecting them. No lockout bedroom door here, which often make me feel like my children are in a completely different hotel room. The beds and pillows were comfortable, the bathroom nice a big and the overall cleanliness was to be commended for such an old building. A few not-so-common features included windows opening full range to let in the nice breeze and fresh air (could be locked by the front desk if traveling with children), the AC system which turned off automatically when the windows are open and/or when the key card is taken out of the main switch and the flat rate mini bar. This had to be my favourite feature, as I often feel overcharged for the simple things found in a mini bar. They provide two beers, two waters, a coke, a juice and some snacks all for 4.90 Euro! You eat one item or all of it, you pay 4.90 Euro each day you use it. The icing on the cake? They allowed my family of five to stay in the room. We are often turned away because of the 5th person. Not here! Our youngest is still small enough to fit in a travel cot, so they brought her one, while the older two slept in the beds. It was so nice to know that family was valued as important, and not viewed as a nuisance. I truly can’t say enough about this charming family run hotel, and I wouldn’t hesitate to stay here on our next visit to Munich, Germany. The location of the hotel was perfect for so many reasons. It is a 8-10 minute walk from the Hauptbahnhof station, a 10 minute walk to Karlsplatz and another 10 minutes to Marienplatz. We had two and a half days to explore Munich, which really isn’t enough, but in that small amount of time, we found a home in our hearts. #1 Marienplatz– Our reason for heading to Germany in the first place was to visit the amazing Christmas markets we were always hearing about. Since our three young children still believe in Santa, this seemed like the perfect fit for our family winter vacation. If you happen to be going during December, one of the most talked about Christmas markets happens to be in Munich in Marienplatz. It was extraordinary, reaching all the way down to Karlsplatz. Within Marienplatz, you will also find the Old and New City Halls, the Marienplatz U-Bahn and S-Bahn stations and lots of fine shopping and eateries. 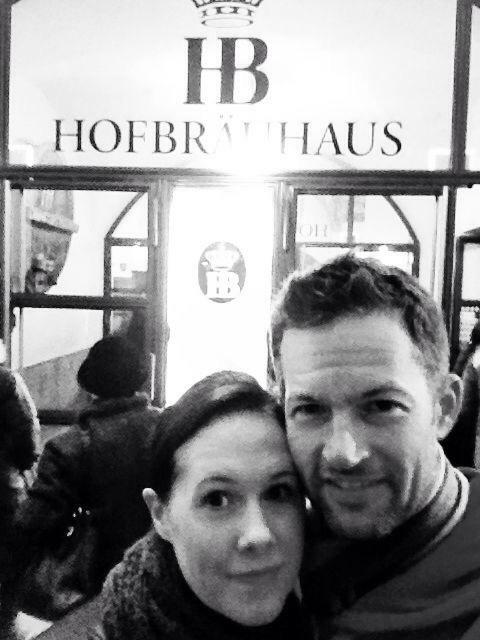 #2 Hofbrauhaus- When you’re in Munich, you must vist the Hofbrauhaus for an authentic experience. Contrary to popular belief, it isn’t a tourist only attraction. Many locals visit this beer hall daily, evidenced by the beer stein safes and reserved for regular customers table cards. We saw many locals dressed in their traditional Bavarian clothing, enjoying time with friends on a weeknight. A word of advice…the first floor is the most popular, filling up quickly and with no one in a hurry to leave. This is where the locals have reserved tables throughout and all the hopping madness you’d expect of the beer hall takes place. Plan on sharing a long table with another couple or family. We couldn’t find anywhere to sit, so we went up to the first floor. This is a quieter restaurant, but books up quickly on weekends. Call ahead if you can and make a reservation. We were sent up one more floor to the Festive Hall. This room seats 900 people and was the stereotypical scene I had imagined. LONG tables, rows of chairs, traditionally dressed servers, loud music pouring from the band and lots of laughing and singing. Again, this fills up quickly with reservations. If you’re lucky, like we were, you can be there right at 6pm and beg for a seat. 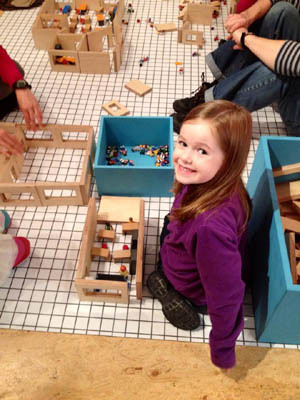 the museum has transformed into learning about architecture. My kids spent hours building, designing, playing and enjoying. 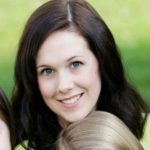 Heather is a freelance travel writer, encouraging her family and others to become internationally minded. You can find her on twitter. Accommodation for the family was provided by the Hotel Cristal Best Western. All opinions are my own.